Thomas/Boyd was initially retained by Save Ellis Island (SEI) to manage publicity for the $300 million restoration. 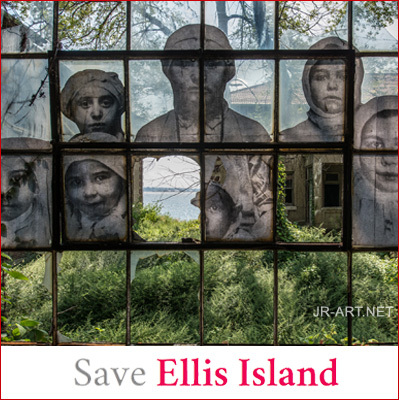 Save Ellis Island is the designated National Park Service nonprofit fundraising partner with a goal of raising funds and overseeing the rehabilitation, restoration and reuse of the 29 unrestored buildings on Ellis Island’s south side. Thomas/Boyd handled the public relations outreach for the grand opening of the first building to be restored and the first building to be open on the New Jersey portion of the Island in over 50 years, the historic Ferry Building. In addition to achieving feature placements on the front-page metro section of The New York Times, and in the Sunday edition of the Los Angeles Times, we secured an Associated Press feature that was picked up by nearly 100 major print and broadcast outlets nationwide. When Save Ellis Island, partnered with the National Park Service, wanted to open Ellis Island’s South Side Hospital Complex to visitors for the first time in more than 60 years, they turned to Thomas/Boyd to spearhead a media relations campaign in advance of the October 2014 opening. Our work resulted in major media relations success – including coverage by The Associated Press, The New York Times, the Star-Ledger/NJ Advance Media for NJ.com, NPR, 1010 WINS; and major television networks such as NBC, CNN, NJTV and News NY1.